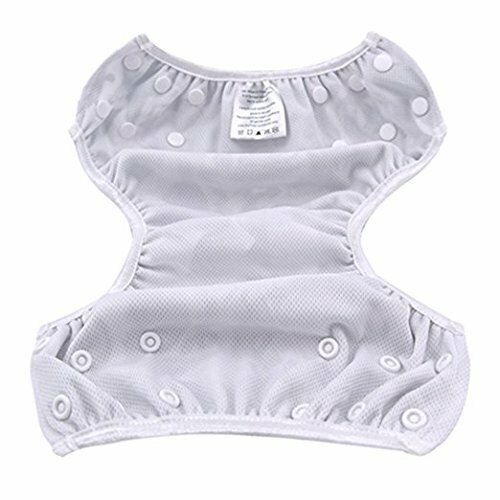 Gentle and Comfortable Disposable swim diapers contain all sorts of chemicals such as, paper, plastic, wood pulp, dioxins, fragrance and polyacryliate. Do you really want these chemicals next to your baby's most sensitive parts? 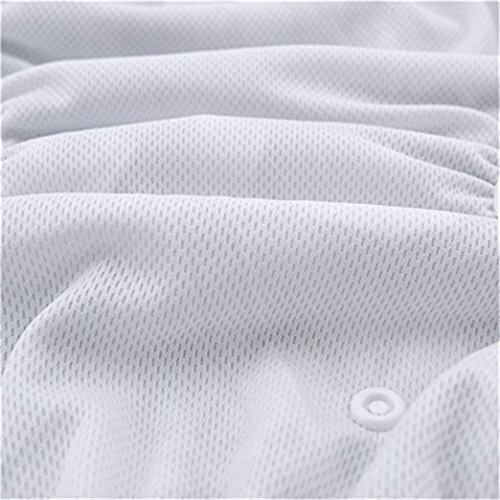 Our swim diapers are made with a soft polyester mesh lining for extra comfort! The cloth gusset doesn't dig into your baby's leg like the plastic ones on disposable diapers. 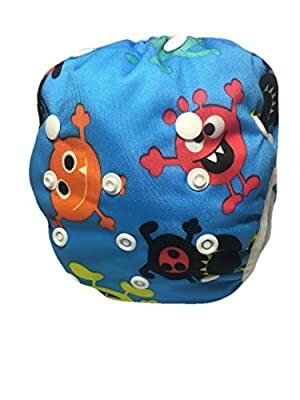 Economical & Sustainable Stop wasting your money buying bag after bag of disposable swim diapers. Buy two or three reusable swim diapers and they will last you multiple years of summer fun! Your purchase also Save's our Earth from garbage and the waste of raw materials such as trees, crude oil, and plastic. Don't you want this earth to be beautiful for your future generations? Just Plain Cute! 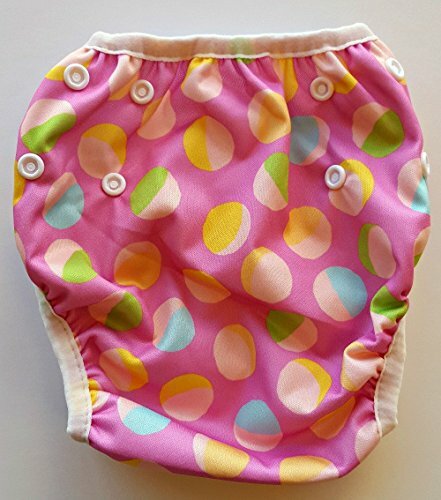 Our cloth swim diapers are much cuter than those blue ugly plastic ones. Your baby boy and girl will love our assortment of kid approved patterns and so will you! 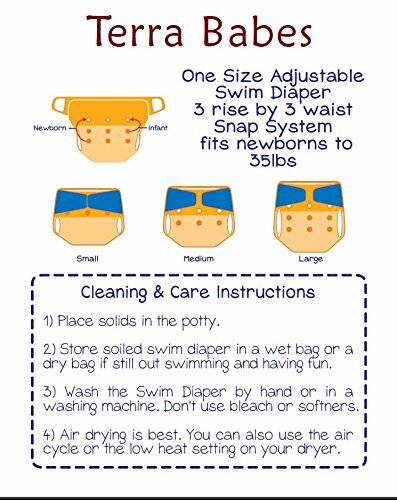 Easy Clean Up  Rinse your reusable diaper of solids before putting into the washing machine. Money Back Guarantee It's simple. If you don't absolutely love your Terra Baby Swim Diapers we'll give you a full refund with no questions asked. SIX CUTE DESIGNS - for boys, girls, and unisex. LOVE YOUR BABY, LOVE THE EARTH - Our eco-friendly swim diapers are perfect for swimming in the beach, pool, or simply having fun playing in the sprinkler! The adjustable fit grows with your baby. EASILY ADJUSTABLE - Grows with your baby! The adjustable snaps easily convert to a small, medium, and large sizing for babies and toddlers up to 35 lbs. 100% SATISFACTION GUARANTEE - It's simple. 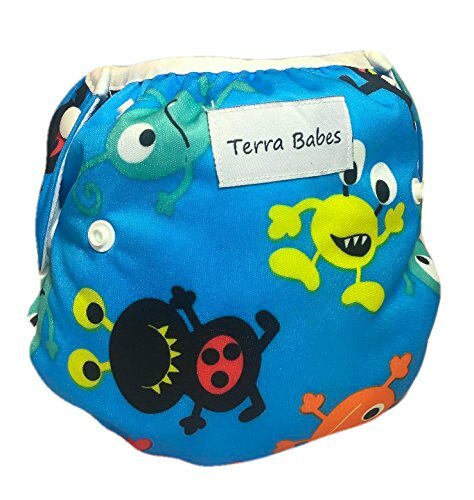 If you don't absolutely love your Terra Baby Reusable Swim Diaper, we'll give a replacement or refund with no questions asked. We stand behind our product, treat our customers like family, and believe they should be happy no matter what. Try us today, risk free.